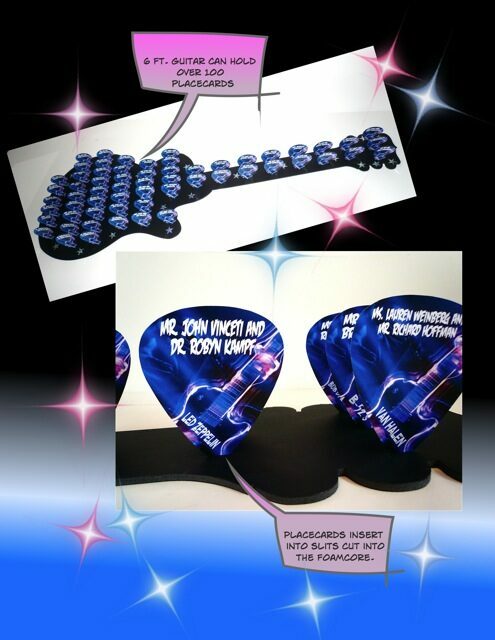 Our most popular placards are the 5" PICKS. 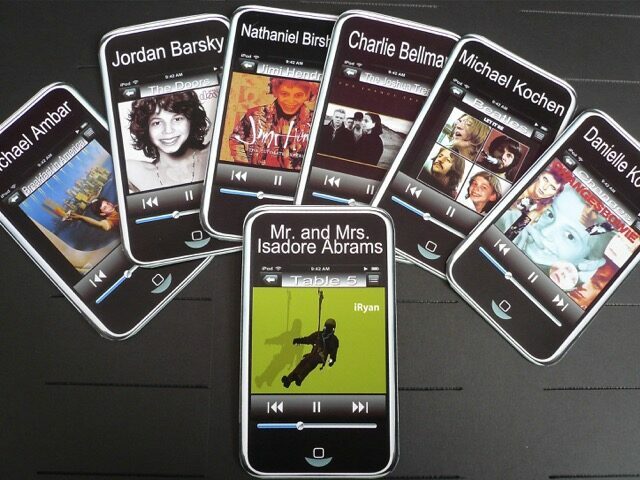 They can be customized in many ways to fit your party colors or party theme. We make various sized table top guitars for the picks to stand upright in alphabetical rows. 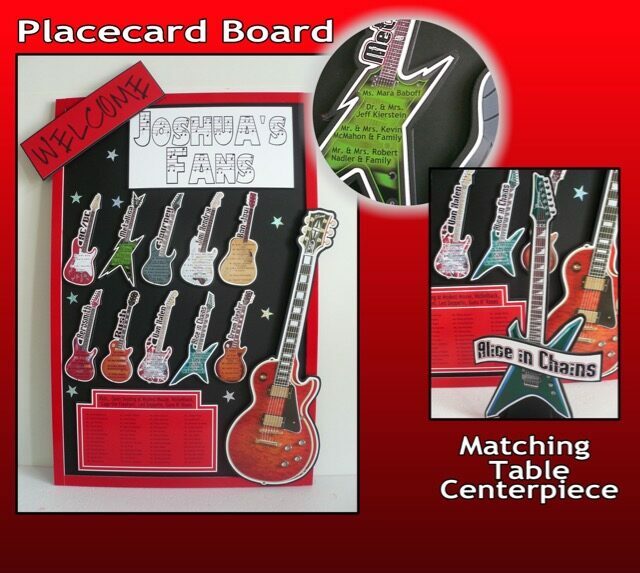 We can even accent the display with a "PICK YOUR SPOT" sign. The picks are glossy heavyweight card stock and $2.50 each. 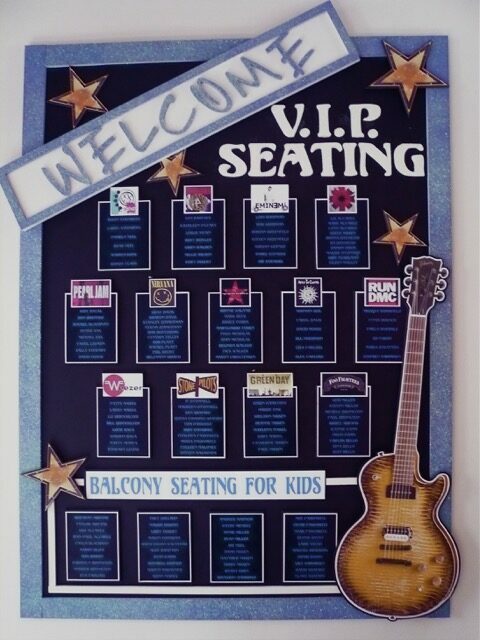 That price includes adding each guests name and table to each card. 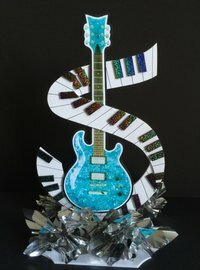 The black guitar holder is $55-65 depending on the size needed. that fit exactly to your party specifications. 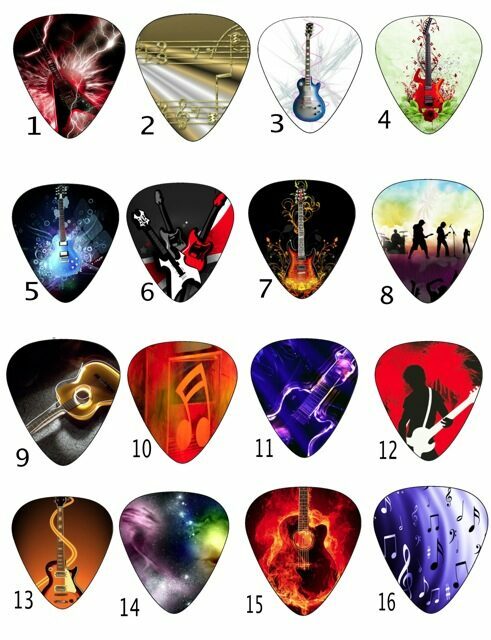 Here are a few of our favorite pick designs. matching table name card for the guests dining table. 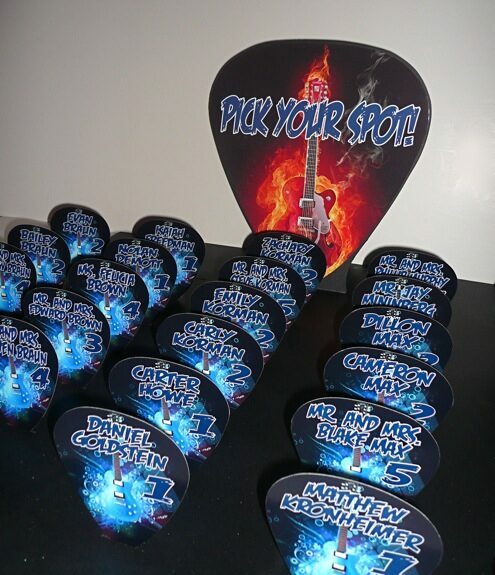 Cool idea also would be to scatter real mini picks around your table centerpiece. 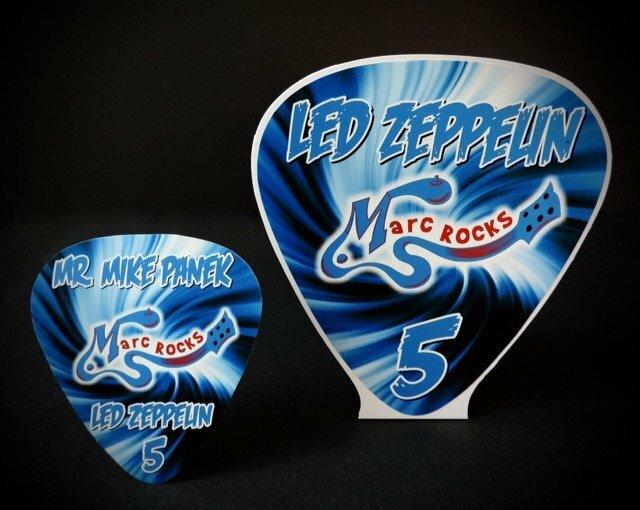 You can make your own with one of these fun mini pick maker tools. 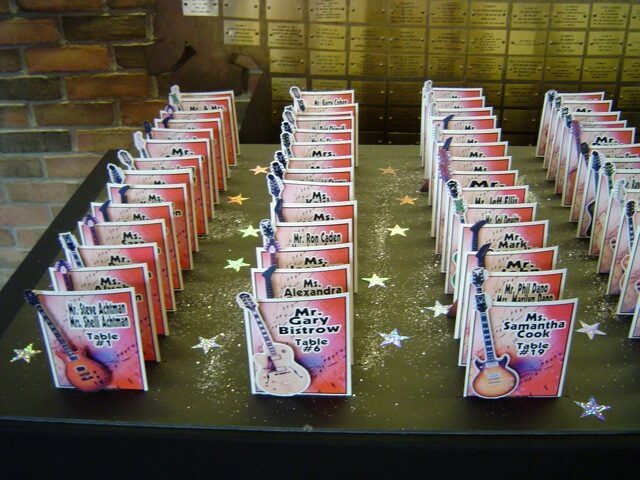 We can then help you out with oversized and customized 5" pick placecards and matching table name/number cards. Here's some other ideas for placards instead of picks. 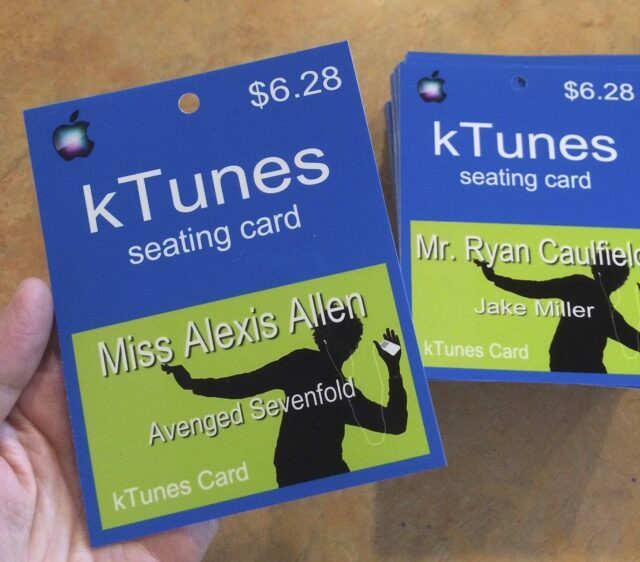 iPhones, iTunes Gift Cards or just square free standing tent cards. 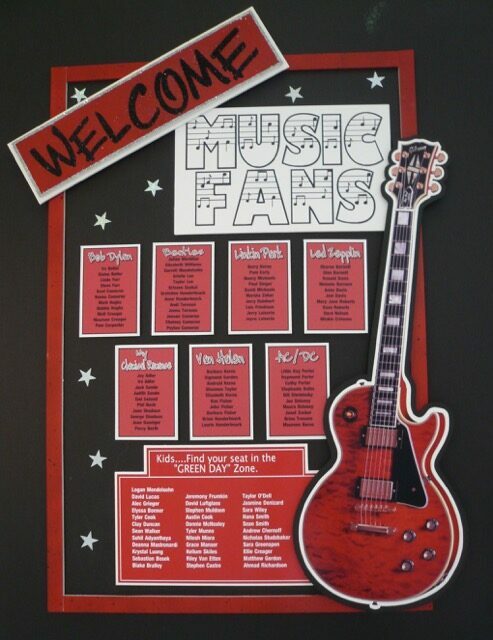 We also can do custom designed PLACARD BOARDS. This way you don't need individual cards. 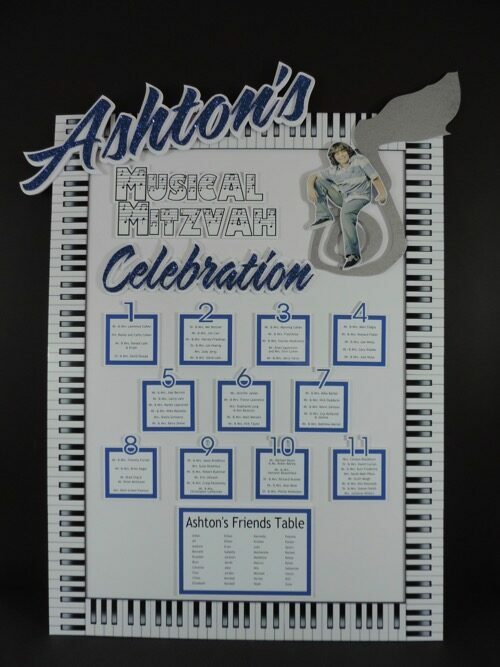 The guests read their names and find their table and the board looks cool all night. These boards average around $185 and sometimes that can be less costly than individual cards.